This dairy-free breakfast apple and raisin porridge is perfect if you need a quick, healthy breakfast. Personally, I’m not an egg eater. Not for health reasons – I think eggs are one of the healthiest, most versatile and convenient foods on the planet. I just don’t like them. Then there’s milk. Again, not for health reasons, I just don’t particularly like most dairy products. I don’t really drink milk and wouldn’t eat cream if you paid me. All egg-based options are out. Breakfast cereals are often crap, plus I’m not a milk fan. I’m up early every day, so I’m not cooking at that time. This leads me down a different avenue for my breakfast options. Typically, I go with smoothies, fruit and if I have time on the weekends, a high-protein option. 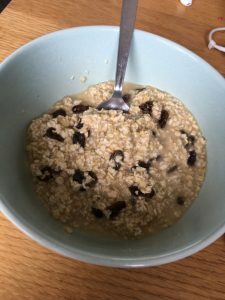 If I’m training in the morning and could do with the extra carbs, I go with this dairy-free breakfast – apple and raisin porridge. It’s simple to make, low in fat and is a great start to the day. 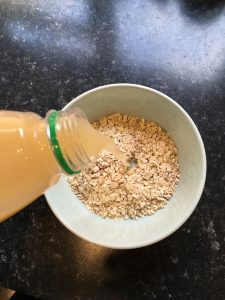 Step 1: Oats in a bowl and pour enough pure apple juice to just cover the oats. Step 2: Add raisins and/or a variety of chopped fruit (apple works particularly well). Step 3: Leave in the fridge for 10 mins. Step 4: Stir around to mix the fruit and eat. It’s sweet, minimally processed, filling, high in fibre and a really convenient egg and dairy-free breakfast. 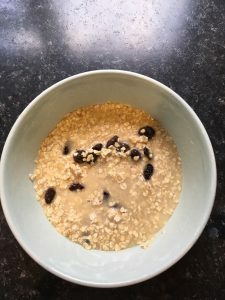 This dairy-free breakfast porridge is perfect workout fuel easy enough for even a child to put together. Oh, and it’s so cheap! For around £3 you’ll get around 15 portions, working out at 20p per breakfast which is fantastic by any measure! Team this with a cup of coffee or mint tea and on you go. 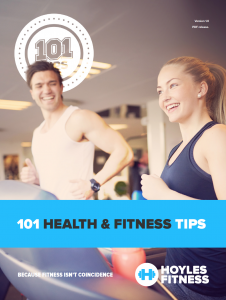 Pingback: Food Prep Tips - Make Healthy Eating Easy and Convenient!